2) the substructure or foundations. 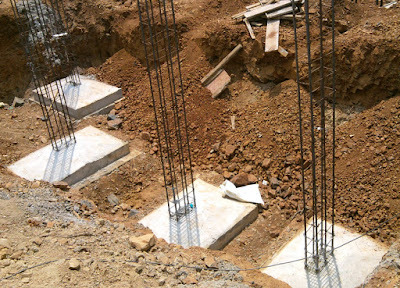 foundations is the lower portion of the building, usually located below ground level. It transmits the load of the super-structure to the sub-soil.